Jbeily enjoys her evening as she discusses her journey from Syria to Jordan. Photo taken by the author. Her face glistens in the sharp white light attached to the house’s chipping white wall. The heat of early July makes the particles of sweat clearly distinguishable on her forehead. Despite a barrage of insects which painlessly both occupy and besiege her personal space, she seems relaxed, poised, but more than anything else, sure of herself. She’s had five years to develop a resiliency toward occupation and besiegement, so insects don’t affect her the way they used to. Zein Jbeily is a Syrian refugee from Aleppo who fled her home country of Syria in 2012. For the last five years, Jbeily has been a citizen activist, choosing to fight for the rights of her people through nonviolent action and a commitment to the pen. Jbeily has taken her passion for nonviolent action and has launched her own war, using writing and investigative reporting as opposed to missiles and bullets to improve the livelihoods of Syrians residing in Jordan. However, Jbeily has not always been a writer. “In Syria, I did not work,” she says as she talks about her life as a stay at home mother. 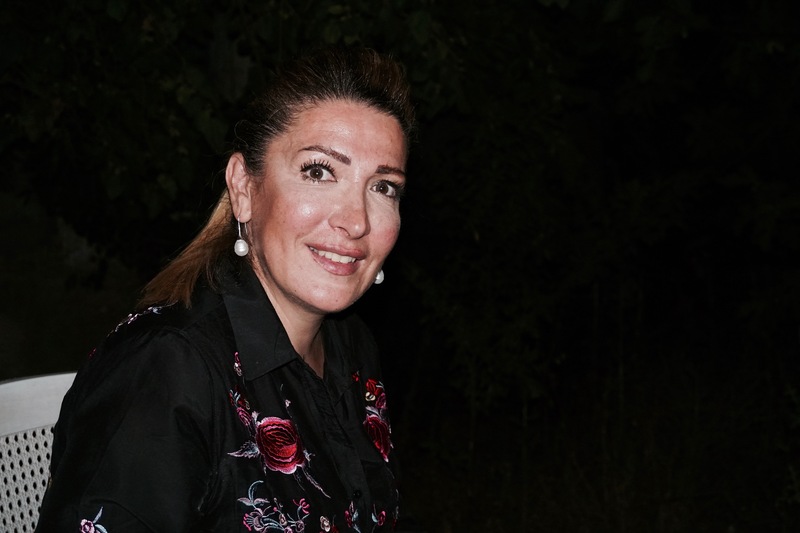 During the revolution, however, her visceral disdain for the Assad regime—a disdain many Syrians in Jordan share—made journalism and documenting atrocities committed by regime forces an almost natural reaction. “In Syria, I was filming demonstrations and sending them to television stations,” Jbeily claims. Jbeily also adds that during the revolution she provided medicine to those in besieged parts of Aleppo. She recalls her journey from Aleppo to Damascus and then eventually over Syria’s southern border with Jordan, “There was a lot of stress when I arrived. I was in shock,” she says. From 2012 to 2016, Jbeily bounced from job to job, each one involving writing about refugees or the Syrian revolution, which by this point, involved Russia, Iran, the United States, and several Gulf states. In 2016, Jbeily found refuge at Amman’s Radio al Balad (Radio of the Country), specifically in their flagship program Syrians Between Us. In 2012, the Amman based radio station, in partnership with the Public Affairs department of the US embassy in Jordan, launched Syrians Between Us, the first project of its kind, which trained Syrian refugees as citizen journalists who would focus on refugees in Jordan. The best part, according to many in the program, was that for each story, they were paid approximately 100 dollars—a modest sum for many but a generous payment for those who found themselves both nationless and homeless in a span of months. Jbeily was not the first to participate, but she was one of the last. In 2016, the program lost its funding and was suspended indefinitely . According to Etaf Roudan, a journalist at Community Media Network, Syrians Between Us had trained nearly 60 ordinary Syrians as citizen journalists in the time that the program was still active. Since its inception, Syrians Between Us has shined a critical light on issues affecting refugees in Jordan: deep-rooted corruption in refugee camps, the lack of educational access that refugees endure, and the often systemic exploitation that Syrian families fall victim to. “People are the experts on their own lives. We thought why not give a chance to Syrians to talk about their own,” Daoud Kuttab, contributor at Al-Monitor and one of the founders of the program told Global Voices. “We noticed a sharp increase in hate speech against Syrian refugees, especially on some of the radio stations. For us, it was Syrians by Syrians about Syrians,” he went on to say. Ali smiles at the camera in Amman's Zaharan neighborhood. Photo taken by the author. 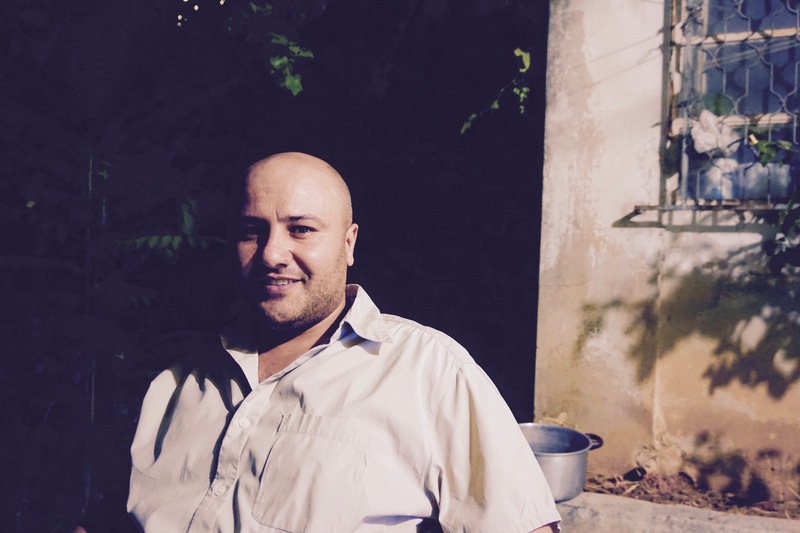 Sa’id al-Haj Ali has also worked with Syrians Between Us, but unlike his counterpart, he hailed from Syria’s southernmost city of Daraa and began writing for Syrians Between Us in 2014. Like many Syrians, Ali moved to Irbid—a small city approximately 90 miles north of Amman. According to UNHCR, nearly 150,000 registered Syrian refugees reside in Irbid city making it one of the largest host cities in Jordan. Ali, however, was no journalist. A student of Arabic literature at Damascus University, the prospect of a successful revolution mobilized Ali’s revolutionary side. “I used to photograph and publicize opposition [to Assad],” he said to Global Voices. Eventually, Ali found himself in and out of prison cells, and by extension, on the run. Ali viewed his work for Syrians Between Us as an essential voice for those who no longer possessed one. “There was no media in Jordan to talk about the problems, issues, and stories of the Syrians—problems in their daily lives about food, aid, treatment, and education,” he said. Syrians Between Us is over for now, but the lives of approximately 60 Syrians as journalists are not. Today, both Ali and Jbeily work full time as journalists, and that does not seem to be changing anytime soon. Certainly Ali and Jbeily dream of returning to Syria—Ali in fact wants to start a radio program in his country, but returning looks increasingly unlikely. In the last year, the Assad regime along with its Iranian and Russian allies have reasserted control over the vast majority of the country, leading many to believe that Assad is here to stay. While today that may seem unachievable, both Ali and Jbeily will keep writing, but also dreaming—dreaming of a Syria that once was and that one day, in large part due to their work, can be. 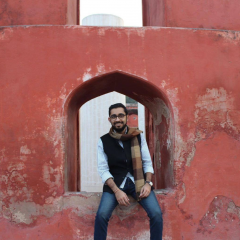 This coverage has been made possible by the Pulitzer Center for Crisis Reporting, for which Aman is a student fellow.